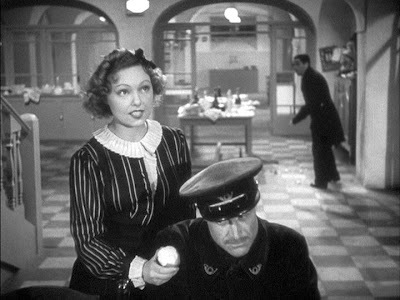 Arguably the greatest film ever made, Jean Renoir’s The Rules of the Game (La Règle du Jeu, 1939) seems at first appearances to be conventional, and yet it stands in a class of its own. One possible measure of its greatness would be to canvass all critics who have actually seen the film and ask them if they would rate it among the top five films ever made. I don’t think any other film would achieve as high a percentage of all-time top-five ratings as Renoir’s classic. And yet many appreciative critics struggle to articulate convincingly just what makes it such an outstanding work. The story of the film concerns a weekend gathering of wealthy French socialites at a country estate. The focus is on various romantic flirtations and infidelities, involving servants and gentry alike, and as such and with its allusions to Beaumarchais’s Marriage of Figaro, it has all the external trappings of a light comedy of manners. Somehow, though, Renoir managed to mold this seemingly conventional material into a multi-layered and profound commentary on the nature of love, society, and the human condition. In the background, of course, was the generally shared feeling of impending catastrophe and social breakdown that would accompany another devastating world war. Perhaps it was not surprising in this connection that the ominous and gloomy light that the film cast on French society was not lost on its initial audience, who greeted the film with jeers and boos at its first screening. Within a year the French Vichy government had banned the film, and during the war the original film negative was destroyed, and the original director’s cut was permanently lost. The version of The Rules of the Game that exists today is the result of a painstaking reconstruction from some existing, cut-down production prints some twenty years later, and it is not precisely what Renoir originally released. Even so, when we see the film now, its lasting virtues shine through and transcend the war – and it is just as relevant today as it was in 1939. The Hero Arrives (21 minutes). Andre Jurieux is seen heroically landing his plane in Paris after a solo, transatlantic flight in record time. 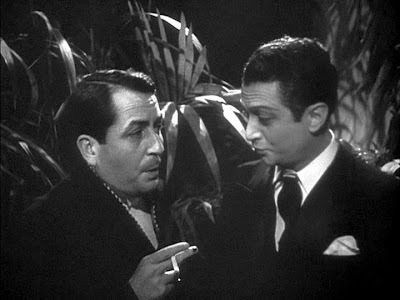 When interviewed by a breathless radio reporter at the scene, though, Andre petulantly expresses disappointment that his unnamed beloved (Christine) is not present to greet him. His friend Octave is there, though, and he scolds Andre for not playing the proper role of a national hero. The scene switches to the Parisian residence of the de la Chesnayes, where other characters are introduced. In a phone conversation, Robert tells Genevieve that he wishes to break off their illicit affair in order to achieve honesty in his marriage. Octave, an old friend of both Andre and Christine, seeks to cool Andre’s unrequited ardor and convert it into “friendship” by having the hero invited to a weekend hunting party at La Coliniere, the de la Chesnaye country estate. The Chateau at La Coliniere (23 minutes). 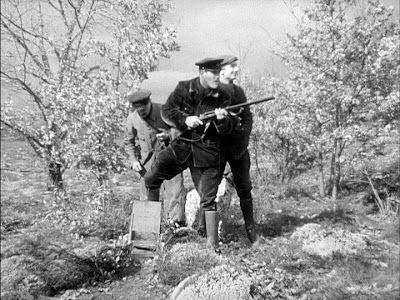 As various guests arrive, the estate gamekeeper, Schumacher, is instructed by Robert to reduce the rabbit population on the grounds without using fences. Making his subsequent rounds on the estate, Schumacher catches in the act a local poacher, Marceau. But Marceau’s rabbit-trapping skills appeal to Robert, who hires him to work in the chateau. As soon as Marceau arrives at the main house for work, though, he begins boldly flirting with Schumacher’s wife, Lisette. The Hunt (for Animal Prey) (12 minutes). In a stark scene the wealthy guests, including women, are equipped with rifles and array themselves in blinds on the grounds, while the servant beaters drive “game” fowl into the air so that they can be shot. 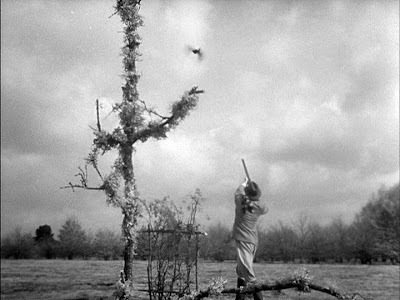 The guests blast away with their guns at anything that moves, with Robert shooting mostly at rabbits (not considered “game” by the hunters) in order to help rid his estate of the pest. This entire scene, which highlights the nonsensical slaughter of sentient beings for "sport", is a metaphor for the unreflective way we let our lives be governed by conventional rules that compromise our humanity. Later on in the film when one of the main characters is tragically killed, Marceau remarks, “He didn’t suffer. He dropped like an animal in the hunt.” At the close of the hunt, Robert meets Genevieve in a remote location and politely terminates their liaison. But Christine happens to spy their farewell embrace through viewing glasses and now first learns of her husband’s affair, which she thinks is still aflame. Human Prey at the Chateau (28 minutes). After the hunt, the guests socialize and put on their own costumed music-hall entertainment, while at the same time there are parallel trysts and flirtatious encounters (all ill-fated) involving (a) Christine and one of the guests, St. Aubin, jealously watched by Andre, (b) Robert and Genevieve, and (c) Lisette and Marceau, jealously stalked by Schumacher. Things only get worse, as misunderstandings, angry confrontations, and Schumacher’s jealous attempts to gun down Marceau bring the entire party to pandemonium. This justly-acclaimed sequence is a masterful, almost delirious, display of deep-focus mise-en-scène – the pinnacle of Renoir’s career. The Unraveling (23 minutes). With order seemingly restored and Schumacher and Marceau dismissed from service, Christine and Octave retire to a greenhouse to talk things over. Their philosophical discussion about human nature and love is both a reflective commentary and an intimation of deeper affection. But a final, tragic misunderstanding puts a rueful end to their hopes and to the story, as well. Certainly The Rules of the Game is more than an upstairs-downstairs comedy of manners. But many critics see the film primarily as a castigation of the outmoded European upper-class values and social irresponsibility in the face of impending war. To me the film has grander and more profound themes that relate to the fundamentals of social interaction. In fact on repeated viewings, one finds new elements and nuances on which to reflect. Social class and the rules. On the general subject of social class, there are interesting phenomena on display that relate more generally to how society operates. For people of any stripe, there are the “rules of the game”, the norms and policies that specify proper behaviour. But the game rules apply differently, depending on social class. For the upper-class people, the rules can easily be bent according to circumstances and convenience. For example Robert, Genevieve, and St. Aubin, who all belong to the privileged class, are quite willing to engage in illicit affairs. For them such pecadillos are merely minor transgressions that can be overlooked in the larger scheme of things. But for the lower classes, the rules set up serious behavioral boundaries. For example, Schumacher knows that his boss, Robert, wants to rid the estate of rabbits, but he still cannot tolerate the poacher Marceau’s rule violation. But for Robert, Marceau’s rabbit poaching seems downright beneficial, and the usual prohibition against poaching can be set aside in his case. Similarly, among the upper-class set at La Coliniere, individual social outliers are tolerated if they sport the wealth and/or proper manner appropriate to the set. Thus, both Robert, who has Jewish ancestry, and one of the guests who is conspicuously homosexual, are accepted as belonging to the upper class in-group, something not so easily attainable at the lower social rungs. It is interesting that Andre, Christine, and Octave all stand somewhat outside the circle of upperclass society. Andre is a temporary member by virtue of his role as the national hero. But heros are expected to stand outside ordinary social contexts and represent idealized virtues. This is why they can gain universal acclaim, but the demands of this role are almost impossible to meet in practice for very long. Christine is the aristocrat imported from Austria, an outsider who struggles to adjust to the customs of the French gentry. Octave (played by Renoir, himself) is simply the tolerated friend of the aristocrats – the would-be artist who sees it all from the outside and can only express frustration at his inability to reconcile everyone’s (including his own) romantic dreams with reality. Among the lower classes there are gradations, too. Schumacher, who tends to the grounds outside the main house, stands at a lower social position than the servants in the house, who work more closely with the gentry. Marceau, the poacher, is outside and below this social scheme altogether. 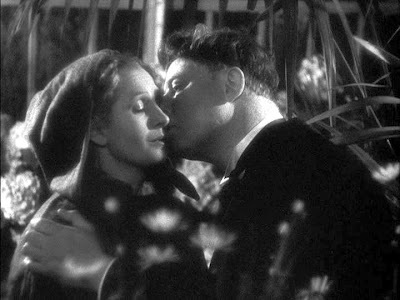 Accordingly Schumacher follows the rules rigidly, while Marceau has no moral inhibitions whatsoever (he has nothing to lose), which unequally tilts their amorous face-off over Lisette from the outset. As for Lisette, she clings to her social status as Christine’s personal maid more fervently than she does to any other personal relationship. Communication and Context. On a deeper level The Rules of the Game examines the ever-growing difficulty associated with the overlapping rules of social behaviour. Highlighted here is the fact that every human exchange necessarily has its own specific interactive context, and these contexts cannot be universally shared. Nor can these contexts be neatly isolated. Life was so much simpler in the past when social classes were more isolated and there was less intermingling of contexts. As the guests and servants intermingle in The Rules of the Game, they must continually shift gears and play according to the different rules. Everything would work nicely if there were a universal set of rules that could apply everywhere, but Renoir is reminding us that such a dream is impossible. Robert de la Chesnaye implicitly has that unattainable dream, though – he has devoted his life to collecting mechanical devices in which automated dolls act according to mechanical instructions. If only all of life could be mechanized according to some such set of rules, everything would work out perfectly and without awkward mistakes, just as Robert’s mechanical figures do when they are operated. In such an orderly, mechanically-driven world, Robert wouldn’t find himself in the position of necessarily having to disappoint someone (either Genevieve or Christine) – there would be a provable solution to every social problem. But of course it didn’t work that way in 1939, and in today’s ever more intermingled society, the situation gets only worse. (If his character role were to be translated to today’s setting, Robert would probably be obsessed with automated computer technology.) Robert’s interest in mechanical toys reflects his underlying “Objectivist” stance (see the discussion of Objectivism in my review of Michael Moore’s SiCKO). The reductionist world-view of the Objectivist is widely held in modern society, but it usually doesn’t work very well in connection with human interactions. In human social situations, context cannot be abstracted away as it often can in the physical sciences – there are too many details and too much complexity that cannot be covered by the rules of interaction. But today we often pretend that we can do the impossible: live according to simple social rules. To carry on this pretense, we inevitably have to lie (we even sometimes wind up fooling ourselves). When in the film the idealistic romantic, Christine, complains (after learning about her husband’s infidelity) that for three years her life had been based on lies, Octave points out to her that today everyone lies, including the government, the pharmaceuticals, and the media, so it should be OK for simple people like themselves to do it, too. We must ultimately acknowledge that social rules of a mechanical nature can only offer skeletal guidelines for behaviour. Rather than invariably seeing deviations from these rules as violations, these rules and their enforcement must sometimes be moderated by higher-level values of love and tolerance. In each case the two interlocutors share a certain amount of candor and honesty, during which time they let their guards down and are relatively comfortable with each other as equals. Robert attempts to achieve such an encounter with Genevieve, but she will have none of it; Genevieve longs for something higher and even more universal. What Genevieve would like (but knows she cannot realistically get) is something that Andre, Christine, and even Octave, all passionately desire: romantic love. Romantic love is universal, infinite, ego-dissolving, and in its ideal it transcends all contexts and boundaries. To be a lover is to live a dream, to play an idealized role in a dreamscape that is almost impossible to sustain for long. In the last analysis, neither Andre nor Octave can fulfill the extreme demands of romantic love, and they succumb to concerns for the social rules that govern their ordinary lives. This is the lament that Renoir plays out for us in The Rules of the Game. Renoir’s achievement. Renoir managed to do justice to all these issues under discussion by cinematicly painting them in richer, more subtle shades than one sees in most films. The resulting effect is dazzling. The cinematography is extraordinary, with multiple, meaningful actions taking place in depth, using deep-focus photography. 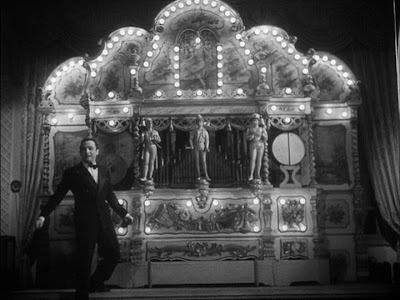 In the rapturous Act 4 ("Human Prey at the Chateau”), there is a breathtaking sequence of multiple 30-to-45-second shots in which many of the characters come in and out of the picture, seemingly at random, to interact in complex ways. In this sequence, the multiple romantic threads crisscross in the chateau corridors, and yet they appear more or less naturally, with a minimum of editorial cuts. Throughout these shots, Renoir maintains fluid camera movements and temporary compositions that maintain a visual balance, matched only perhaps by Mizoguchi. At the same time, the actors remain in-character and sustain their distinct personas. All of the acting is physically and visually expansive, yet effective, with memorable performances from veterans of his past works, including Julien Carette (as Marceau), Gaston Modot (as Schumacher), and Marcel Dalio (as Robert de la Chesnaye). 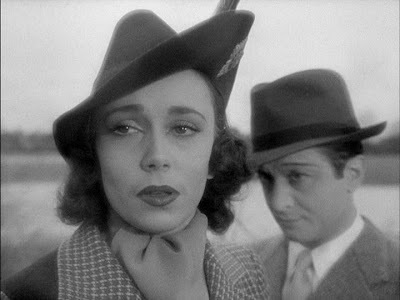 Nora Gregor played the role of the semi-outsider, Christine, who in the story is said to have arrived years earlier from Austria, which matched her real-life circumstances -- she was, herself, a recent refugee actress who had fled Austria as a result of the Nazi Germany depredations. 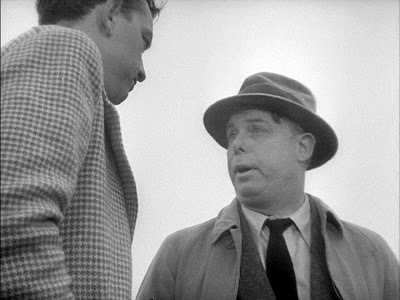 It is reported that Renoir had completed less than half the shooting script when filming began, so that he must have made up a good part of the shooting scenario in a relatively extemporaneous fashion. It is hard to believe that such carefully blocked-out shots, with such fully-fleshed-out and nuanced acting, could have been accomplished in a supposedly impromptu fashion. You really must watch carefully this section of The Rules of the Game to appreciate just why the film is held in such high esteem and why it has had such a mesmerizing effect on directors that followed. For one example (there are several) of this virtuosity keep an eye out for the 43-second shot scanning the audience during the costumed performance in the darkened little theater that features Andre jealously watching St. Aubin and Christine, while Schumacher jealously searches for Lisette and Marceau. Alain Resnais said that he was stunned when he first saw the film. Robert Altman said that the film taught him the “rules of the game” of filmmaking, and indeed it led him to emulate Renoir’s multi-character, multi-layered narrative style in his own films. 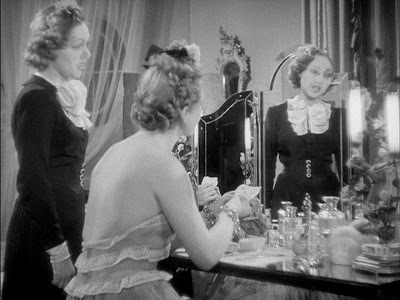 The Rules of the Game was Renoir’s career high point, coming directly after two other outstanding films of his that were stylistically and thematically somewhat different: La Grande Illusion (1937) and La Bête Humaine (1938). Soon the world war would overwhelm Europe, and Renoir would flee to the United States, remote from his built-up ensemble of artistic collaborators. Through the various vicissitudes that would follow in his travels, however, he would always retain his unique inclusive perspective on the human condition. I also like Satyajit Ray and will be reviewing some of his films in 2010.
sincere thanks for your astute and thorough analysis of this film. i decided to break in 2011 by watching the film (sick, so no parties for me, hehe) and your essay deepened that experience significantly. Actually, that Citizen Kane is the most Faved by critics, Rules of game for a long time was the runner-up, was after losing places to Vertigo Hitchcock and Coppola's The Godfather. And arguably is a strong word to be used in a place of opinions, even these criticisms certainly do not give the quality of a film. As for the movie itself, I thought weak. Not bad, but weak, perhaps for the chance to be disappointed with films is deified great, and it was my case.